Afrapix, a progressive photographers' collective and photographic agency. 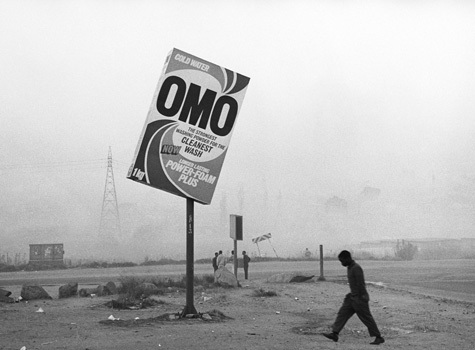 Established by Omar Badsha, Lesley Lawson and a small group of black and white photographers and political activists in 1981. This collective played a seminal role in the development of a socially informed school of documentary photography in apartheid South Africa. The formation of Afrapix coincided with the increase in the growth of community, labour, women organisations and grassroots activism which was gave rise to the emergence of what became known as the progressive or alternative media networks in the face of stare censorship. Afrapix members driven by their opposition to apartheid and state repression pooled their skills and resources to train young black photographers to document life, state repression in their communities and to disseminate their work to the progressive movement at home and abroad. The collective was composed of fulltime and community based photographers and in total, between 1981 and 1991, 40 photographers who, collectively produced some of the most compelling photographic record of the last decade of South African under Apartheid. The archive covers a vast body of work on the socio-economic conditions of black communities under apartheid and an equally vast photographic record of the day to day activities and campaigns of the political organisations, trade unions and the country-wide popular uprising against white minority rule in the 1980s. Initially, the Inter-Church Media Project (IMP) headed by Rev Bernard Spong supported Afrapix, with office, darkroom space and administrative assistance. IMP ran an incubator programme which was aimed at supporting the growth of community based media organisations and was based at Khotso House, (Johannesburg) which was the head quarters of the SACC and also housed a number of anti apartheid organisations and trade unions. Paul Weinberg also helped Bernard Spong to establish Afrascope, a film and video unit which was also housed at Khotso House. Afrapix was unique in that from the start, unlike most alternative community-based grouping in the country, it was totally funded through the efforts of its members. The collective had members in Durban, Cape Town and the Eastern Cape. The regional structures of the collective were autonomous but members met once or twice a year to discuss policy and joint projects. Afrapix’s impact on South Africa's photography and the progressive arts community was through exhibitions, workshops and publishing that it initiated or through the work of its individual member’s projects. Some of the leading members of Afrapix also played an influential role in banned political organisations, through the labour movement and in the cultural and media organisations that formed part of the broad 'people's culture' or 'resistance arts' movements. Afrapix photographers managed to balance the requirements of hard news, the events of the day and encouraging a socially relevant, committed documentary photography practice. They questioned the role and commitment especially of the white photographic press community towards social justice when they argued that they did not take sides but acted as witnesses to the unfolding political drama that was South Africa in the 1980s. They also questioned photographers for not engaging with the complex relationship of how people in a racially fractured society were portrayed or the limitations placed on Black photographers. Many commentators and critics over the years have focused on the 'struggle photography' coverage of community and mass based struggles. However, the critiques fail to recognise that only some members of Afrapix earned their living following the news and these members, largely, worked as stringers for news agencies or NGOs. Just less that half of the members of the collective were not fulltime photographers. From its inception in 1982 to its dissolution in 1991, the Afrapix collective had close on 40 members (including full/professional, community and associate members). The collective ran many workshops, participated in numerous exhibitions both locally and internationally and trained and inspired an entire generation of young photographers. After Afrapix officially dissolved in 1991, many of its former members continued to work as documentary photographers and some have carved out significant careers for themselves internationally.